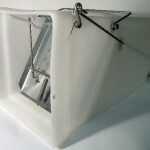 TRAP DESCRIPTION: We carry two sizes of these traps one is a 9" x 9" x 24" and the other is slightly larger 12" x 12" x 30". 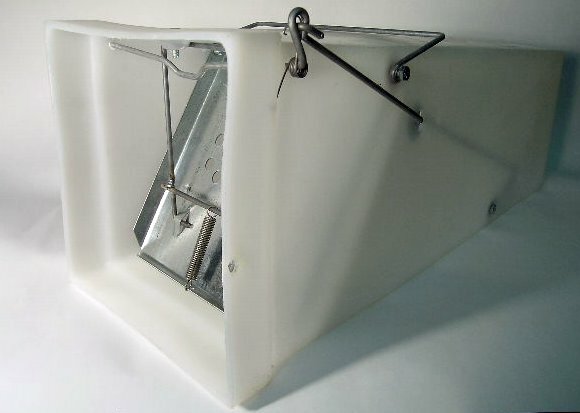 These traps are both made of Durable polyethylene with a galvanized steel door. Eliminates skunk spray! Animals are less aggressive compared to other conventional live traps. Reduces injury to animals. Easy to Set. Easy removal of catch. These are available in semi-translucent white only. WHERE TO USE IT: Place trap in areas where animals frequent. RATE OF APPLICATION: One or more. The number of traps can vary depending on the size of the population that is needing to be trapped, the number of places you want to set the traps, and how quickly you want to resolve the problem. $110.00 (822282) 9" x 9" x 24"
$125.00 (822278) 12" x 12" x 30"